1. Sinha, now 58, got into Indian Foreign Service in 1981 in his very first attempt. He actually wanted to join the Army, but got attracted to diplomacy in upper school and college. 2. 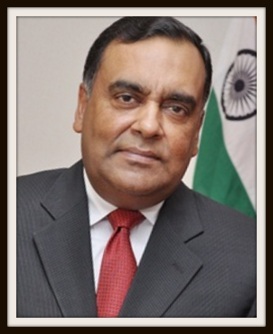 He has been High Commissioner of India to Sri Lanka since June 2013. 3. Between 2009 and 2013, Sinha served as additional secretary in ministry of external affairs (MEA), heading the Pakistan-Afghanistan-Iran division of MEA. Prior to that Sinha was India’s Ambassador to Venezuela (2007 to 2009) and Consul General of India in Dubai (2003 to 2006) and Minister and Deputy Chief of Mission in Abu Dhabi (UAE) (2002 to 2003). 4. During 1998 to 2002, Sinha was Counsellor at the Permanent Mission of India in United Nations, handling issues such as peace keeping, de-colonisation and most importantly, UN Security Council reforms. 5. In 1990s, he had a 6-year-long long innings with Pakistan (deputy secretary (Pakistan) in MEA-1992 to 1995 and then Counsellor, heading the political section in the Indian High Commission in Islamabad between 1995 and 1998. 6. 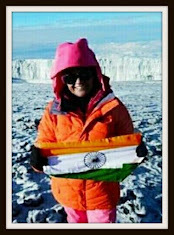 As a young IFS officer, Sinha worked in India’s mission in Milan, Riyadh and Cairo. 7. Among the major conferences that Sinha represented India included London conference on Afghanistan (2010); Bonn II conference on Afghanistan (2011), Tokyo conference on Afghanistan (2012), ’Heart of Asia' ministerial conferences on Afghanistan at Istanbul (2011) etc. 8. Hailing from Bihar, Sinha did his schooling both in Chesham (UK) and then at St. Michael's High School, Patna. 9. He did his graduation in history from St. Stephen's college, Delhi and MA from the University of Delhi. 10. Sinha is married to Girija, and they have two sons. “A spouse plays a huge role in a diplomat's career”, Sinha said in an earlier interview.